Have you been considering a triple net property investment? With stock market volatility, low interest rates, and the slow recovery of the economy, demand for commercial real estate industry services has grown in recent years. 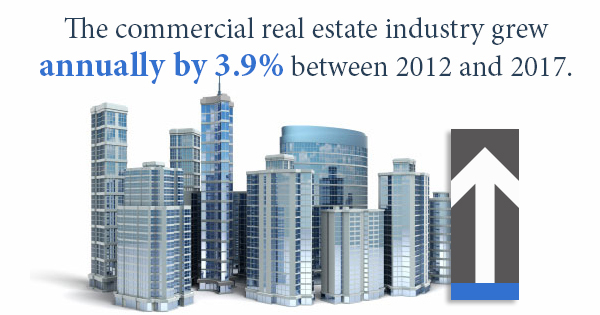 In fact, the commercial real estate industry grew annually by 3.9% between 2012 and 2017. However, commercial real estate investments aren’t for everyone, and triple net property investments in particular often require a certain level of financial sophistication. That is why it’s important to know whether you’re up to the task before you invest. Here are a couple ways you can determine whether or not a triple net property investment is the right decision for you. In general, individuals who are interested in making a triple net property investment have a net worth of at least $1 million — aside from the value of their primary residence. If you don’t have a net worth of $1 million, an annual income of $200,000 will do just as well. In addition, you need to understand the relative risks and rewards of NNN investing. Once you know whether you can afford to invest in an NNN property, it’s essential to know how you would finance the property. For instance, do you have a credit union or bank you know you’d be able to use? Do you have a more creative method for purchasing your commercial property? Ask yourself these questions before making the decision to invest in commercial property. It’s one thing to want to invest and another to be able to invest well. Potential commercial real estate investors may be looking for a smart means of investing their extra money. However, it’s essential to make the right investment choice. The commercial real estate market may not be your best option if you have no time at all to manage your commercial properties once you obtain them. However, if you do have a little downtime, a triple net lease property may be right up your alley. Triple net properties place the responsibility of the property’s maintenance, building insurance, and real estate taxes on the shoulders of the tenant. What’s more, triple net leases last for longer periods of time. Therefore, you won’t need to search for tenants as often as you would with a single net lease property. While the returns may be lower than other types of commercial real estate, the management time and tenant turnover is far lower as well. A triple net investment can be a great choice for the new commercial real estate investor. Not only will you be able to enjoy the triple net property advantages described above, but so will your tenants. To learn more about triple net leasing and commercial real estate, contact Sands Investment Group today.